In this marketing exercise, the students will gain an understanding of the complexity of consumer attitudes by reviewing the output of a multi-attribute attitude model. Please note that a multi-attribute attitude Excel template is available for free download at a related website. For this task you will need to review the two following charts and then answer the questions at the end. 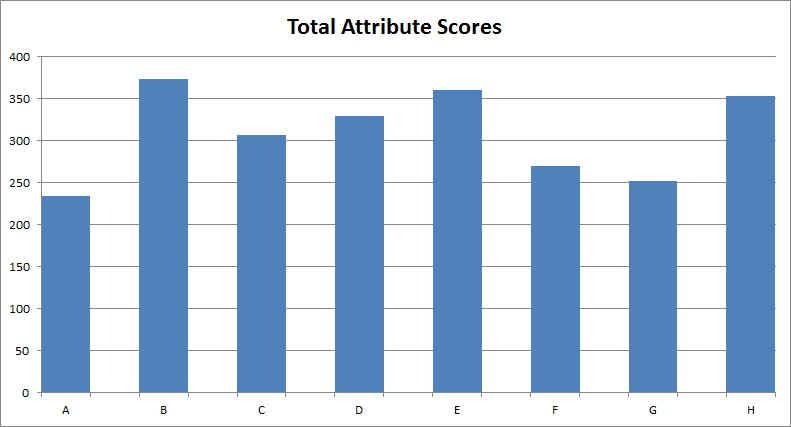 The first chart shows the overall attitude score for each competing brand – where a higher score is better. 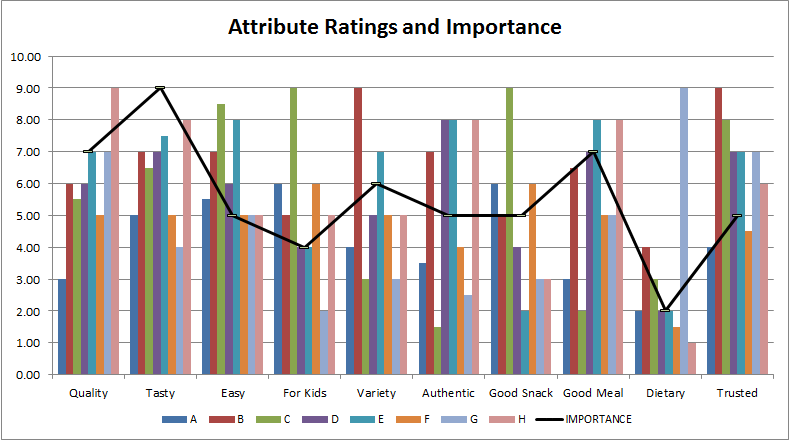 And the second graph is a multi-attribute attitude model (how the scores in the first graph were generated) – which shows the ranking of each brand on each key product attribute and the importance of each attribute (the line chart) in the consumer’s purchase decision. Note that the brands compete in a food market – which is suggested by the key attributes. Based on the first chart (overall scores) – which brands are the better performing ones (where the consumers’ attitude is more favorable)? Which are the poorer performing brands? Based on the 2nd chart – which product attributes are of most importance to consumers in their purchase decisions? Which ones are of lesser importance? For the best two overall brands (from chart 1) – look at their scores in the second chart – what particular attributes are they perceived as superior (that is, why are they considered to be the best)? Are these two best brands “identical”, or do they have points-of-differentiation? Now look at the two weakest brands (from chart 1) and identify (from chart 2) why they are under-performing. Remember to consider the importance of the attribute to the consumer’s purchase decision as well. What should these brands try and do in order to improve their overall scores (that is, gain more favorable consumer attitudes)? Do you think that it is helpful breaking down consumer attitudes to this level of detail? Why/why not? If yes (in Q6) – is this information more helpful for stronger or weaker brands? 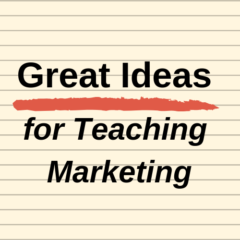 Great Ideas for Teaching Marketing has been developed as an alternative to long case studies. Over 250 short activities and discussion exercises are provided on this website. They are ideally suited to topics that only require a 10-30 minute exercise addressing a distinctive concept, rather than a detailed, all-encompassing case study. All the activities and discussion exercises are provided free for marketing lecturers to use in their classes.